Combating impunity and strengthening accountability and the rule of law has long been a principal focus of the Office of the High Commissioner for Human Rights (OHCHR), and constitutes one of the six thematic priorities in its Management Plan for 2014-2017. 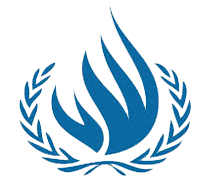 OHCHR’s comprehensive rule of law strategy aims to bridge gaps in human rights implementation at the national level, and focuses in particular on the following areas: human rights in the administration of justice; transitional justice; eradicating torture, the abolition of the death penalty and protection of the rights of persons deprived of their liberty; counter-terrorism and human rights; and legal and judicial protection of economic, social and cultural rights. Through its pivotal role vis-à-vis human rights mechanisms, OHCHR supports the further development of human rights norms and standards. It also plays a crucial role to ensure that these norms and standards are duly reflected in, and form the basis of the rule of law programmes, policies and activities of the UN at the global, regional and national levels. OHCHR’s 66 field presences provide it with outreach capacity to advocate for rule of law and accountability issues and to support national stakeholders in the implementation of relevant norms and standards, particularly in relation to the implementation of human rights mechanisms’ recommendations. OHCHR regularly holds in-country training and seminars, and develops and disseminates tools and guidance materials which outline norms of international human rights, humanitarian and criminal law and best practices relevant to the rule of law, impunity and accountability, such as the “rule-of-law tools” series.